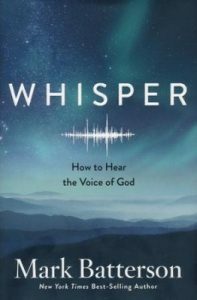 Cindy Fox is leading the book study Whisper: How to Hear the Voice of God by Mark Batterson. Join us each Sunday evening beginning January 13 for 6 weeks at 4 pm. You can purchase a copy of the book for $13.50.